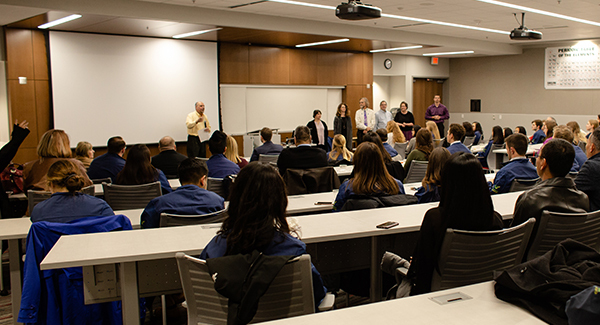 Thanks to a partnership with Volunteer Kansas, Newman University held its second annual lab coat ceremony on Jan. 16 in the Bishop Gerber Science Center. 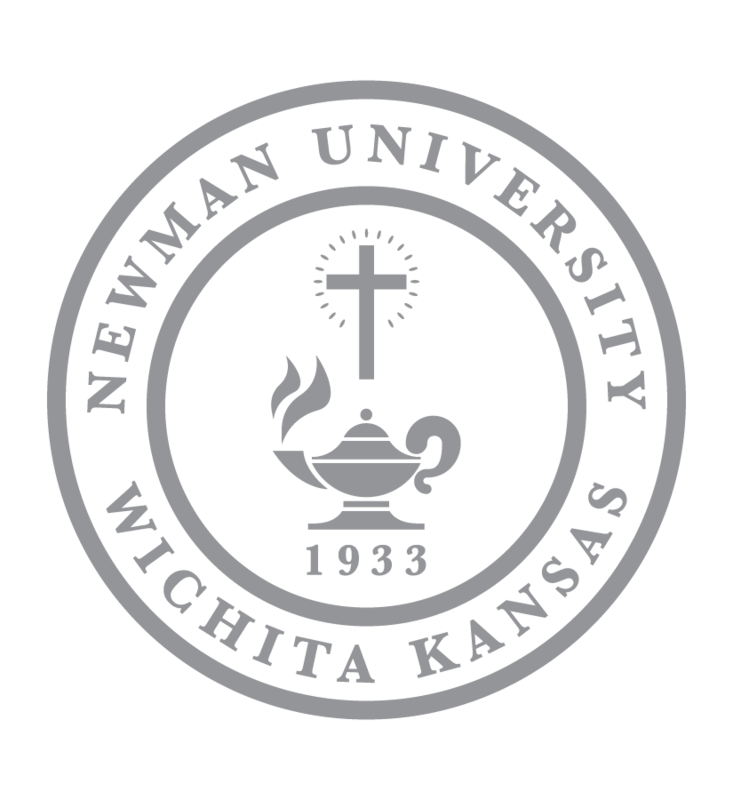 The grant not only allowed the university to celebrate with its students during this special ceremony but has also allowed Newman to continue a special mentoring program. 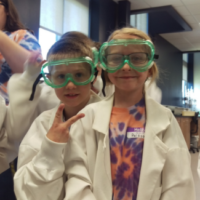 The mentorship program, which was initiated in the spring of 2018, consists of current junior and senior students mentoring younger or newer students in science and math courses outside of class. 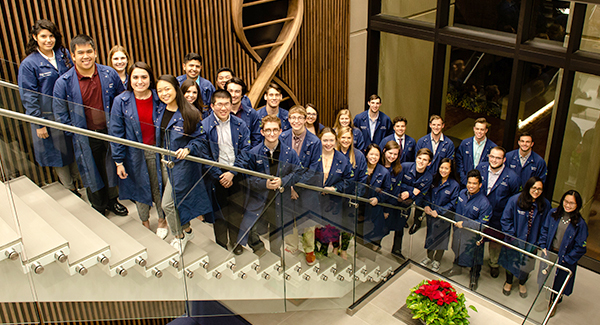 The mentors will be driven by three main goals; reviewing material already covered in class, previewing material in upcoming lectures and labs and quizzing students on material they should already know. 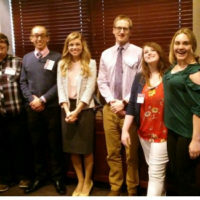 Bradley, along with other faculty and staff, saw the evening as an opportunity to recognize and celebrate those students being honored for their achievements thus far in the program. Zitlali Bravo, a biochemistry major, plans to attend med school after graduating from Newman in May. Her goal is to become an ophthalmologist. She said being chosen for the mentor program is a big deal for her. 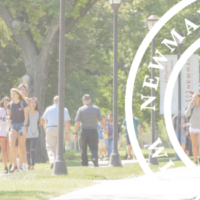 Biology major and baseball team member Mitchell Austin said finding a good balance between life and school has been something he’s achieved while at Newman. Austin said he feels more confident after going through his higher education journey at Newman. He said receiving this recognition “gives us a lot of confidence to move forward and take on hard subjects.